"Never try to outsmart a wiseguy." 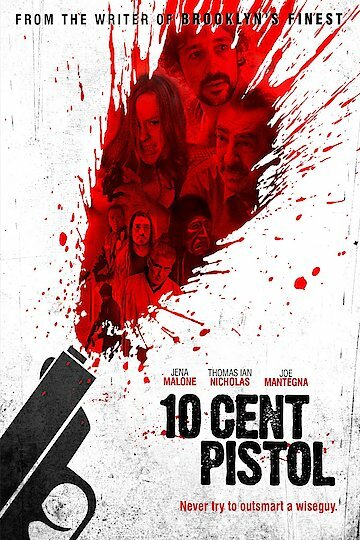 10 Cent Pistol is an American crime thriller film. The film centers around two brothers who are partners-in-crime, literally. They pull off high stakes capers and they balance each other's strengths and weaknesses. That is, until a high-stakes caper goes wrong. They become tangled with a crooked lawyer, the LAPD, and a beautiful woman who is a femme fatale. Will the brothers be able to pull off the biggest job of their careers while entangled in this web? 10 Cent Pistol is currently available to watch and stream, download, buy on demand at Amazon Prime, Amazon, Vudu, Google Play, FandangoNow, iTunes, YouTube VOD online.